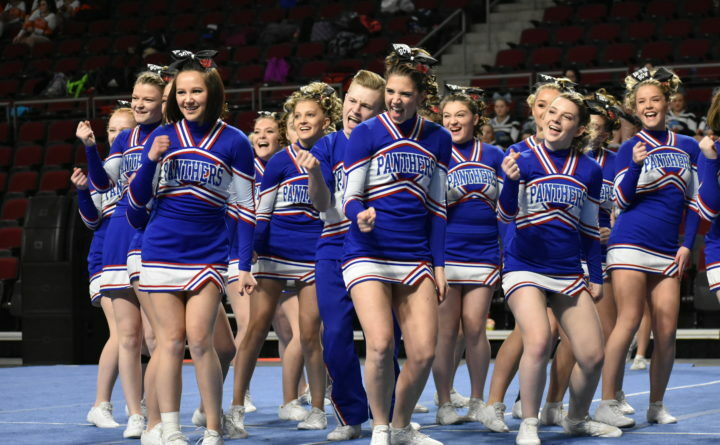 BANGOR, Maine — The Penobscot Valley High School cheering squad has been chasing the Class D champions for the last few years. Now the Howlers are the champs. 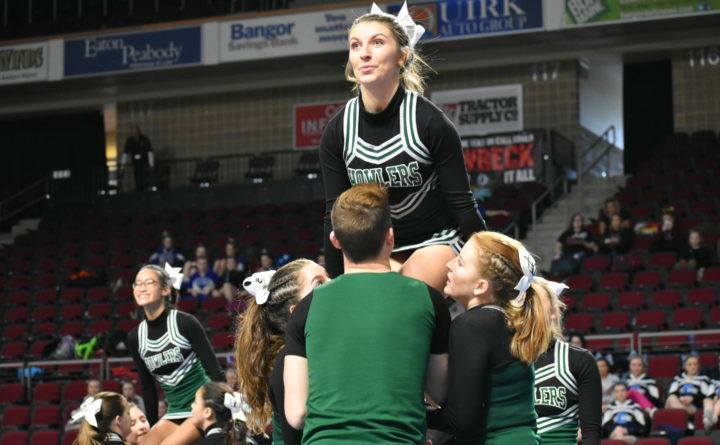 Coach Heidi Sullivan’s squad used an energetic routine full of tumbling Saturday to edge perennial power Central Aroostook of Mars Hill and capture the Class D North/South regional crown at the Cross Insurance Center. 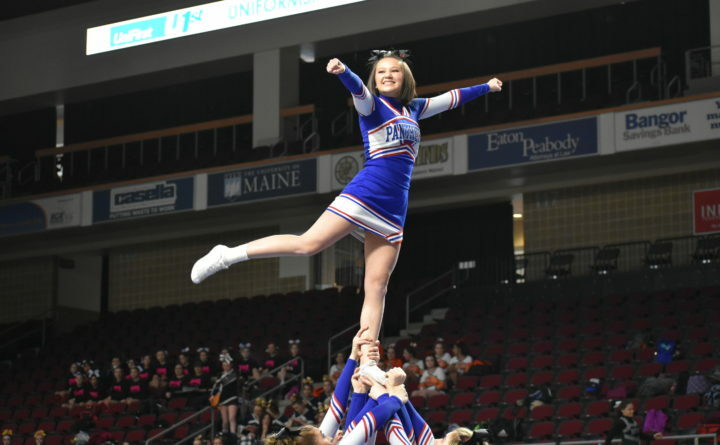 The Howland school finished with 67.6 points while Central Aroostook was second with 62.4. The regional crown was the first for Penobscot Valley since 1988. Much of that confidence stemmed from the addition of nine freshmen to the Howlers’ squad this winter. Central Aroostook, the four-time defending state champion, boasted a roster similar in experience to Penobscot Valley with six seniors and seven freshmen, but the Panthers were unable to match the Howlers on the mat a week after defeating the likes of Class B Presque Isle and Caribou and Class C Houlton to win the Aroostook League title. 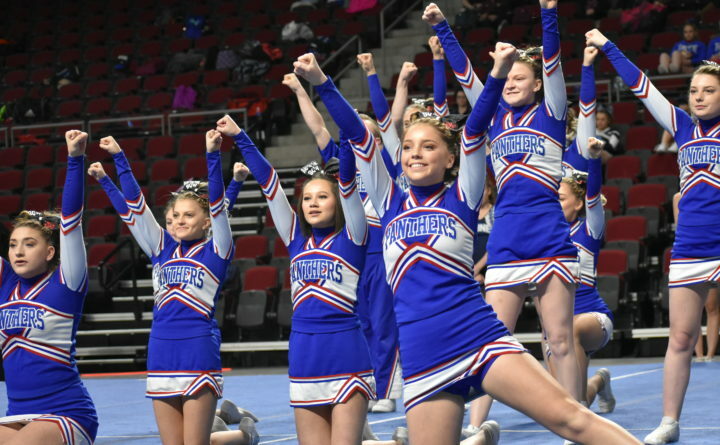 “We were doing very well, but we also knew the scores were not quite where we wanted them to be,” said Central Aroostook head coach Sami Jo Allen. 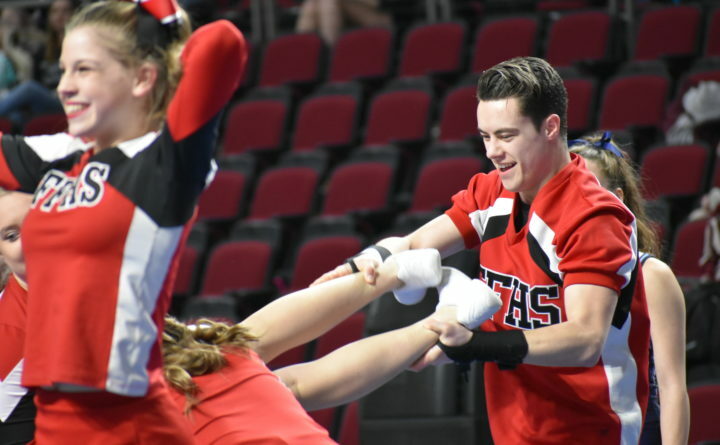 “We knew we had to increase our pyramid and partner stunts and try to increase our tumbling and that’s where we were getting beat, on the tumbling. 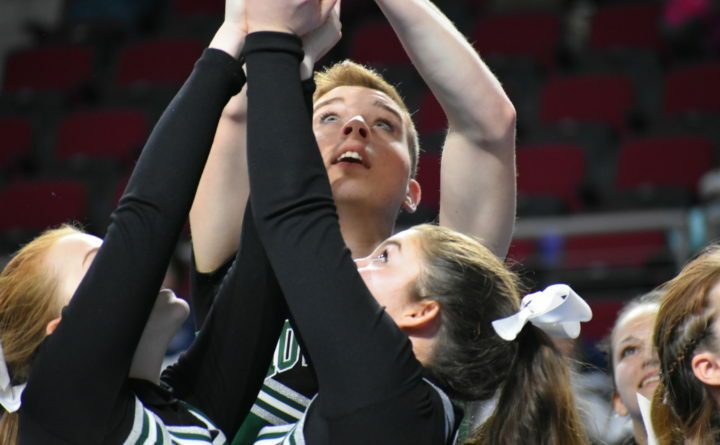 Penobscot Valley and Central Aroostook will be joined at the Class D state meet on Feb. 10 at the Cross Center by the next four top teams at the regional: Machias (48.1), Bangor Christian (45.0), Deer Isle-Stonington (42.5) and Woodland (40.2). Also at the regional were Fort Fairfield (39.4) and Buckfield (32.4). PVHS team members are Thibodeau, Christine Brown, Emma Buck, Paige Carter, Isabella Heald, Kiera Hatch, Lindsay Michaud, McKenzie Plourde, Millie Richard, Julie Rogers, Indi Rosario, Makayla Sisco, Isaac St. Cyr, Delaney Theriault, Kara Theriault, Marina Theriault, Mackenzie Thompson and Gabby Thibodeau. 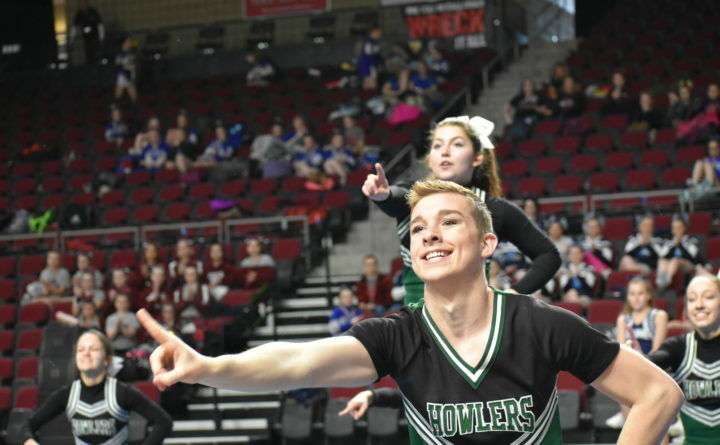 “It has a lot to do with going out there and selling the routine,” said Sullivan, whose squad had won the Penobscot Valley Conference Class D competition last week. 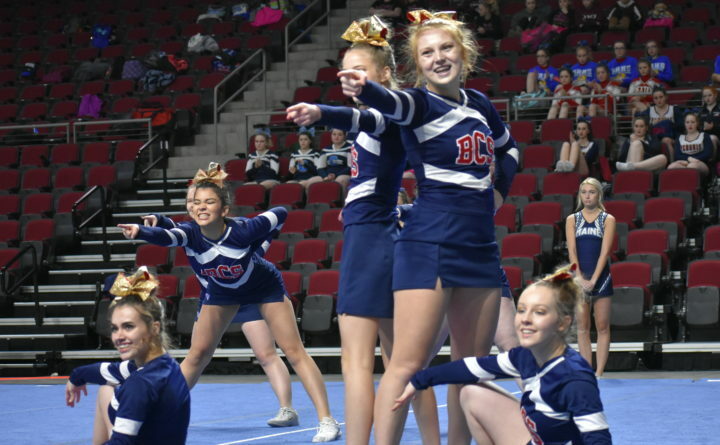 “You’ve got to go out there, have a lot of fun and show that to the judges.